I want to learn how to do everything. Among my successes, I make a lot of mistakes, and I'm not afraid of chronicling (most of) them here. When I worked at a travel magazine, a writer pitched me a story about a popsicle festival in Mexico. The La Michoacana chain of ice cream and popsicle stores is sort of a loose franchise, owned by families who all have roots in this one town. Every year, around Christmas, everyone returns and shares their best popsicle recipes in a friendly competition/loose festival. I think my editor killed the story idea, but I became obsessed with the idea of gourmet popsicles and all the amazing sweet and spicy flavor combinations of paletas. So I bought a cheapo set of popsicle forms at IKEA and (months, maybe even a year or two later) made mango chile lime popsicles. I loved them and Dave hated them (he likes the cheapo “purple flavor” popsicles that you get at the supermarket). 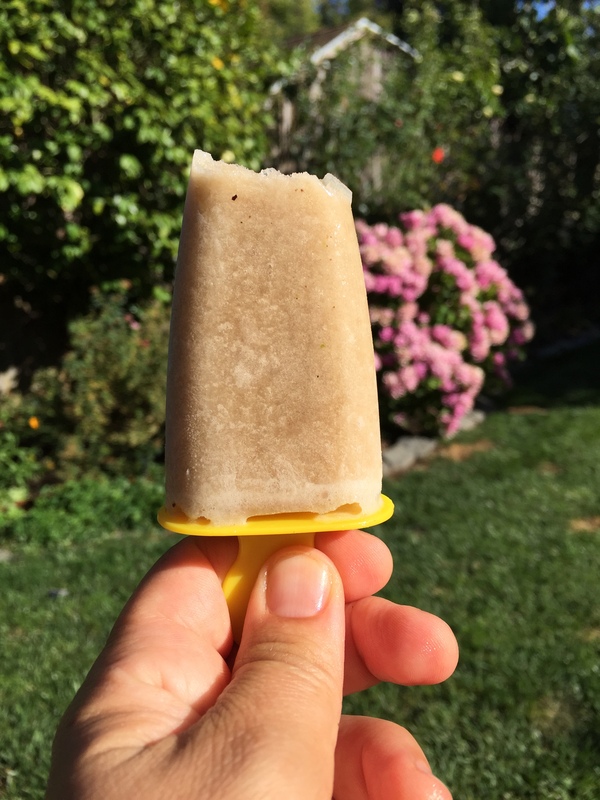 “Making popsicles” for Bug was on my summer bucket list, so when I saw this recipe — and from Bittman, no less! — I had to make them. Cook’s grade: A. These are so easy to make. 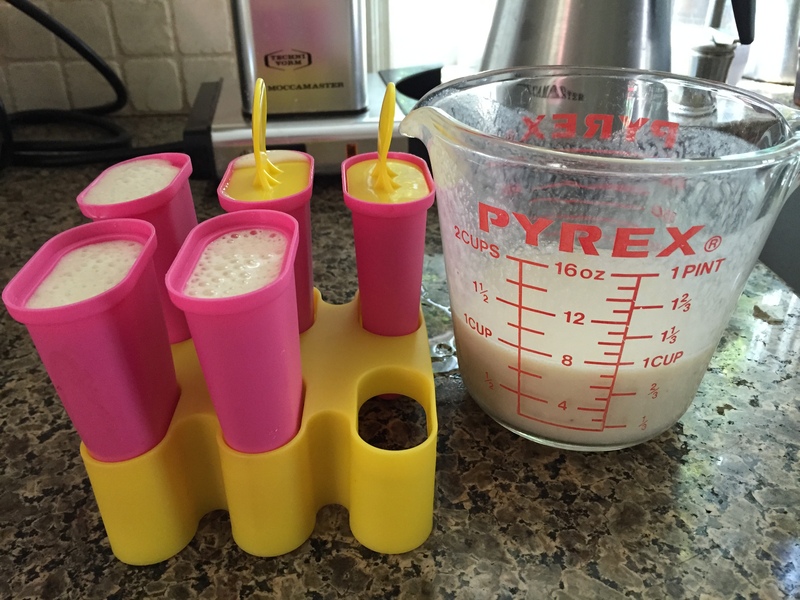 Bittman calls for three ingredients — bananas, milk, and sugar — and I made them with just bananas and milk. Blend them up, pour them in the molds, wait a few hours. Done. They were sweet enough and creamy with a subtle yet present banana flavor. (Banana flavor is often either too overwhelming or barely noticeable.) Next time I make them, I might try adding some cinnamon for a little extra oomph, but they were tasty. Dave didn’t like them. Kid’s grade: A. Bug loved the popsicles, and when I told her that she could have one for a post-nap snack, she awoke asking about them. I like that they’re a healthier alternative to ice cream, and the IKEA molds are a perfect portion size for a snack. And, I have to be honest, watching your kid eat a popsicle on your back porch on a hot summer day is pretty great.